Thanks… was doing it wrong. There is no way, at the moment at least, to have each sensor name next to the value. Ok solved in this way? Is it what you were advicing me? EDIT: How to change the size of the texts? Can you share the code? Sure, here it is… Before i was using card-modder, but now i am switching my themes with the two new variables. Not exactly as intended, in fact what you did is actually much better than what I intended!! You have the font_size option to change the font size of the state, next version there’ll be an additional font_size_header option to adjust the font size of the header (name & icon). changed 2 files with 14 additions and 7 deletions. 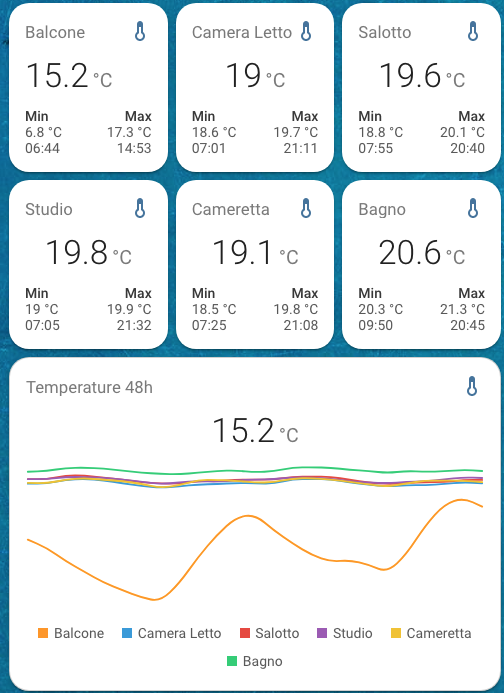 After setting up my utility meter (power consumption - kWh), for day, week, and month, it was time to use the mini-graph-card. I was hoping to display three mini-graph-cards. One card for daily having 360 bars displaying one bar for each day. One card for weekly having 52 bars displaying one bar for each week. And one for monthly having 12 bars displaying one bar for each month. -The cards may be limited with fewer bars where the last measurement is to the right in the card . Turns out, when using the sensors with the mini-graph-card, it did not turn out how I expected. No wonder, since the utility meter sensors are topped up continually by the power consumption sensor (sensor.energy_consumption2). 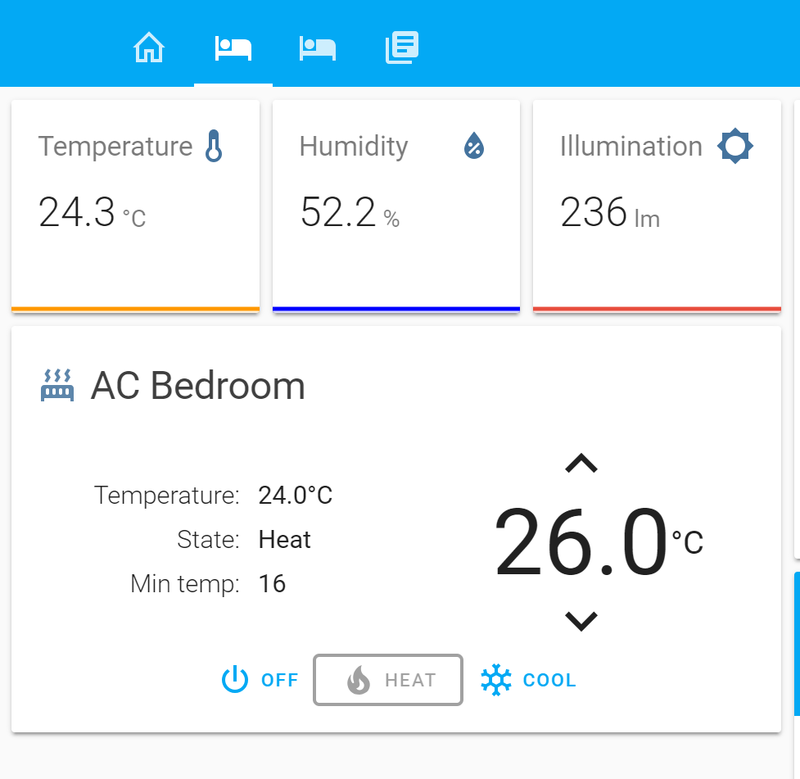 So, I created three new template sensors, sensor.energy_hotwater_daily_end, sensor.energy_hotwater_weekly_end and sensor.energy_hotwater_monthly_end. This sensors gets their value when the utility meter sensors are reset for a new period, and the _end-sensors then get the attributes.last_period from the utility meter sensors. – Which did not work any better when it came to display the graph. 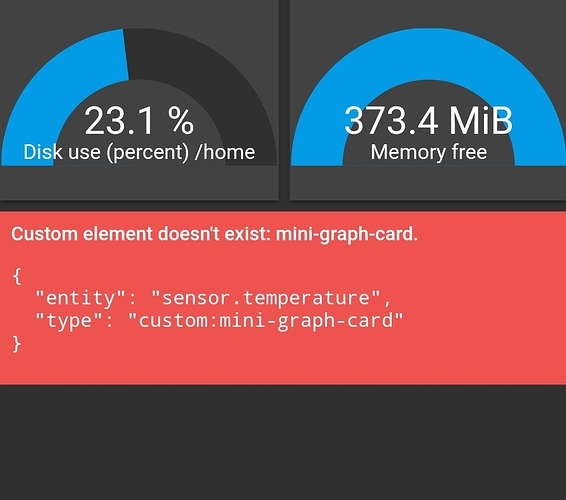 My question is, is it possible to achieve what I am looking for with the mini-graph-card, and if so, how? 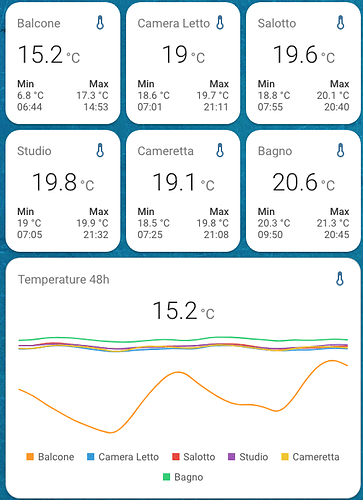 Is it at all possible to have a card with a parameter for retrieving X-count of measuring point, and not just time period? This has been discussed quite a lot in this thread lately. The graph is based on a moving average and the time intervals are calculated from the time of page refresh, this is not ideal for every use case. So to answer your question, no this is not really possible to achieve using this card. The bar chart also has a limit of 96 bars, so 360 bars in one card is not possible. i’m having issue, after restore from a snapshot. 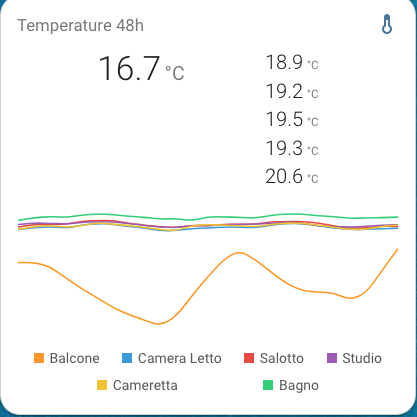 the graph is flat… alt ho its temps,humidity are updating. tried delete db file, didn’t helped the issue only with your custom mini graph. if i use the normal history graph the bar is updating. it was working great, issue started after i restored from a snapshot… someone has an idea what to do? Give it some time, with the default options the graph displays one point for every two hours, so might take some time before you see the graph updating. ok, i will wait an update! thanks man! I’m getting a line instead of a bar graph, what am I doing wrong? Update your card if you haven’t in a while or clear cache. Click on the .js file and it will tell you the path (URL) where it is trying to donwload it to. /local identify your www folder, it can only be /local/ or /customcards/ if you’re using the custom_updater component. If it’s different than that, you have something wrong in the config. If it’s local/cards/mini-graph-card.js you need to place the file in www/cards/ inside your config folder.